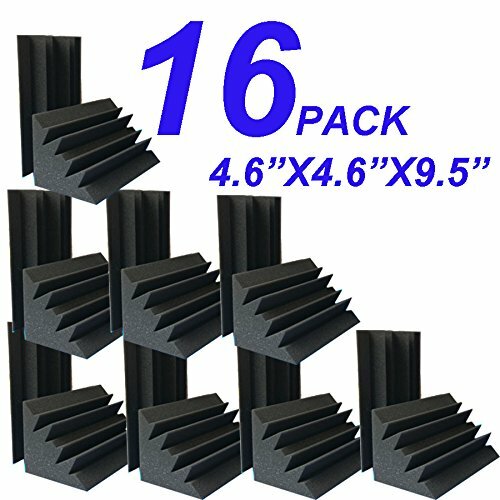 Qty: 16PCS 4.6" x 4.6" x 9.5" good for studios, recording studios, vocal booths, control rooms. Very Good Quality High NRC !! Product Care: Occasional Vacuuming of Dust. This product provides strong noise reduction, Good for studios, recording studios, vocal booths, control rooms. acoustical foam is a cost-effective. Our foam can be aligned perfectly with the next piece to provide professional installation. Use: Perfect for use on corner walls, corner ceilings, etc. Anywhere to help block sound and prevent echoes inside the room. Best When You Cover The Corner From Top to Bottom, with this Product. Qty: 16PCS 4.6" x 4.6" x 9.5 "Please note: we have double sided tape for free. But in some workplaces, double-sided tape can come off. If you have any questions about this product by XingLong, contact us by completing and submitting the form below. If you are looking for a specif part number, please include it with your message.